Darko Teodorovic, won an exciting championship match last week, adding to an already impressive season. He's truly passionate about the game and plays every chance he gets. 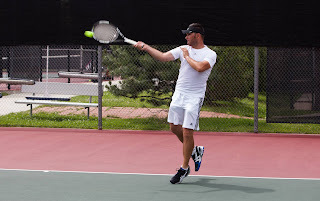 I am a member of Tennis Denver Summer 3.5 league, and spring mixed doubles with my wife as well. I just finished my Spring 3.0 league, and I won the championship. I started in September of 2014, and I managed to play over 30 matches so far. With the rain in Colorado this spring, I'd say it is quite an accomplishment! With the whole summer league ahead of us, and fall too, I hope to play at least 50-60 matches this year. I have 3-5 matches every week, plus I hit with my wife every time we don't have a match. I like that there is a large pool of players to compete with. I like that admins are responsive. I love how easy it is to submit your scores - some other leagues require you to go on site and write in a notebook. My favorite match must be my championship match last week. I played Will twice before and I won both times. I was sure that I could win again, but it was hot and I got very tired and my legs were shaking, and I managed to lose the first set in a tie break. I didn't break down mentally, and I managed to come back in force to a 6-0 second set, and I was able to finish it at 6-2 for the final set. Who are your favorite rivals in the league? I won a drawing for a new racquet - just as I was starting to beg my wife to buy a new one, I won the Roland Garros drawing and now I have a new Head Graphene Speed MP Pro. Thanks TennisDenver! 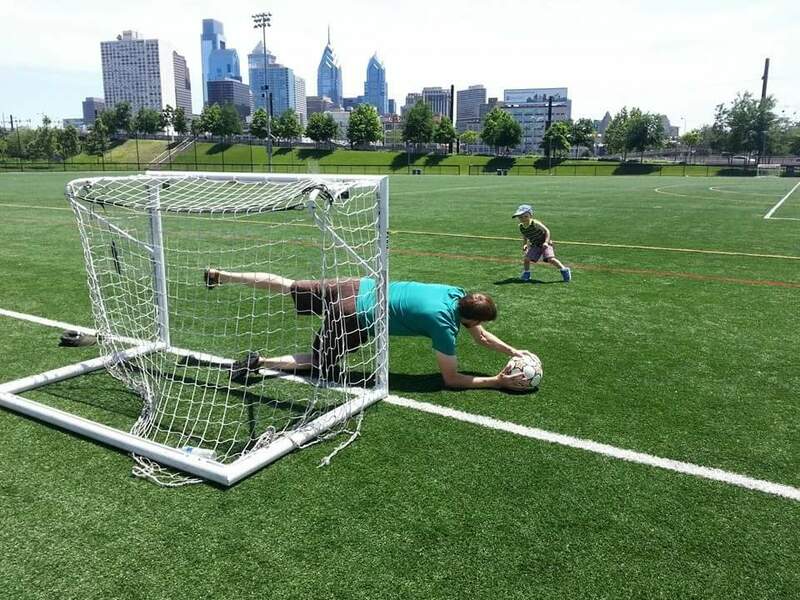 I moved to states 16 years ago and I played for recreation with my dad a few times per year. 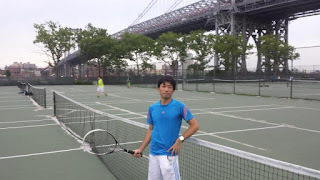 Last year in July, my wife decided that she wants to play tennis because her parents were doing it, and that is when we got a personal coach for a few lessons, and I decided to join this league so I can play, as it is impossible to get "pick-up" tennis games. I love the fact that it is a great work out - last year I lost 10 lbs playing it - I gained them back over winter, and I hope to lose them again this season. I love the competition aspect - it is one on one, and you can't blame anyone else for your mistakes. 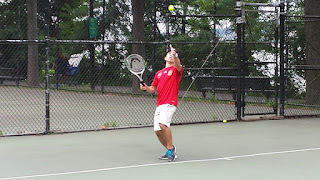 I like that you can pick up a racquet and play and improve your game visibly with repetition, and the satisfaction I get when I see how much better my serve is now than it was 9 months ago. I love the feeling of seeing that ball land where I intended it to go. I love Novak Djokovic, as he is a fellow Serbian. I love his ground strokes, his playfulness, and how much he has improved over the last few years. I am originally from Bosnia, and when the war started, I moved to Serbia. When the war started there, I moved to the USA as a refugee. I am a Server Administrator for the Cancer Center at the University of Colorado. I spend all my free time playing tennis or doing stuff with my family. We have to large dogs that are spoiled rotten and demand long daily walks, preferably at the Cherry Creek State Park where they can be off-leash and swim in the creek. I do like basketball, mtn and road biking, hiking etc, but most of my hobbies have been on the back burner any day the weather is nice enough to swing a racquet. 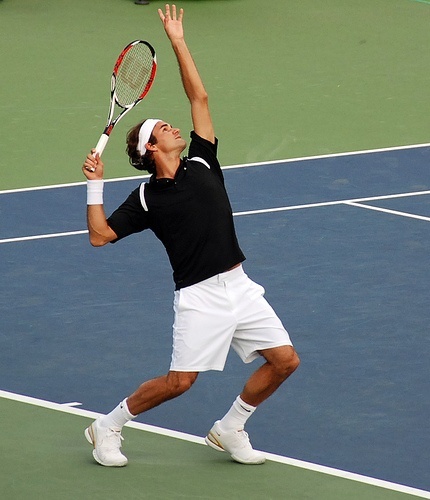 In tennis, when you constantly swing your racquet it forces the muscles and tendons in the forearms to work excessively. This can often lead to inflammation in the elbow—known as Tennis Elbow. Not only is Tennis Elbow an uncomfortable and irritating physical condition, but it forces people to take time off the court which does a number on an avid player’s mental and physical well-being. If you find that you are suffering from Tennis Elbow, here is some information that will help you. Before you rush to a diagnosis, it’s in your best interest to seek out a medical professional so that they can give you the proper diagnosis, and advice going forward. 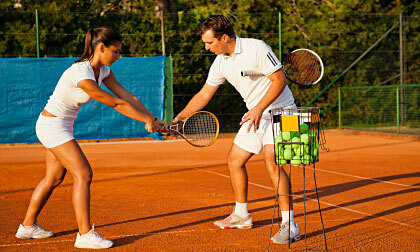 Rest and Relaxation: Tennis Elbow is a product of inflammation, and therefore it is necessary to rest the affected arm. This will allow the tightness and pain to subside. Not only does this mean taking time off from the court, but also avoiding any activities that will put undue stress on the forearm and wrist. 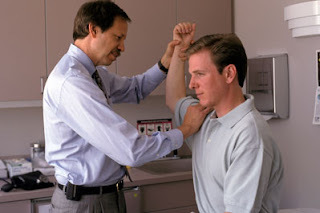 Physical Therapy: For many cases of Tennis Elbow, physical therapy will be suggested. During this time, therapists will work to strengthen the muscles and tendons in the forearms to both treat the pain, and prevent it from returning down the road. Medication: Non-steroidal anti-inflammatory drugs (NSAIDs) will likely improve pain in the short term, yet they are not sufficient to treat the underlying causes of tennis elbow. Check with your doctor for more information. Surgery: Surgery is rarely needed or suggested, except in cases of extended discomfort. This will usually be after 6 to 12 months of consistent treatment. One reason people are so prone to Tennis Elbow is because of the nature of tennis, that is, it requires the use of repetitive ground strokes. This begs the question, however, as to why tennis pros don’t get tennis elbow. It would seem inevitable that these pros, who practice hours a day virtually every day, don’t often suffer from tennis Elbow. So what’s their secret? Technique: There is a lot of speculation, and evidence, that suggests Tennis Elbow can often be caused by poor form. 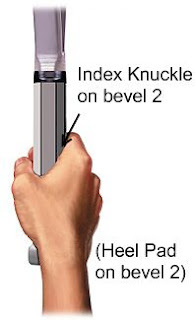 Incorrect placement of the wrist, as well as poor grip technique, can exacerbate the likelihood of getting elbow pain. If you take tennis seriously, it’s likely that you have a coach or have a ‘tennis expert’ in your circle of playing partners. If not, then you may want to consider signing up for a few lessons, so that you can learn correct form to prevent injury down the road. 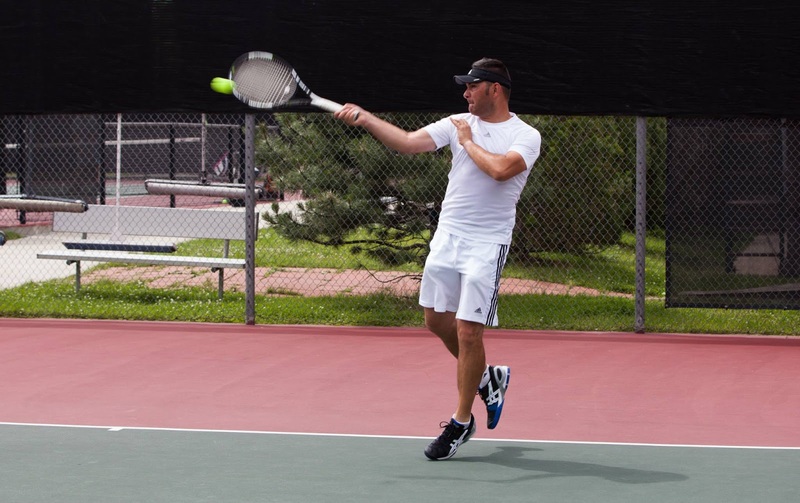 An Exercise Regimen: Because Tennis Elbow is caused by overuse of the forearm muscles and tendons, it is essential to strengthen these outside of tennis. Consider lifting weights a few times a week, as doing so will build muscles all over the body. You don’t need an intense routine; any moderate weight lifting will be sufficient to stimulate strength in the forearms. Tomokazu Sawano, came to the United States nearly seven years ago. After getting a taste of the 'Big Apple' he found that tennis was a popular sport that would give him plenty of joy. He is likely going to be leaving the USA soon, but hopefully he can play a few more Tennis League matches before he's gone. About two or three matches a week. At least one over weekend and one or two more on weeknights. 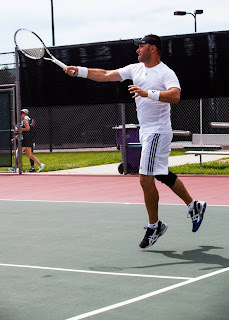 1) It makes me feel like being a tour pro (albeit just a wannabe) by playing on different courts every time depending on each opponent's preference. Indeed, I have played at 119th Riverside, 96th Riverside, Central Park, Inwood, Astoria, Flushing Meadow, Lincoln Terrace as well as my home court East River Park. 2) Opportunity to face diversified players with different styles and to learn through matches with them. I'm learning and progressing very very slowly. 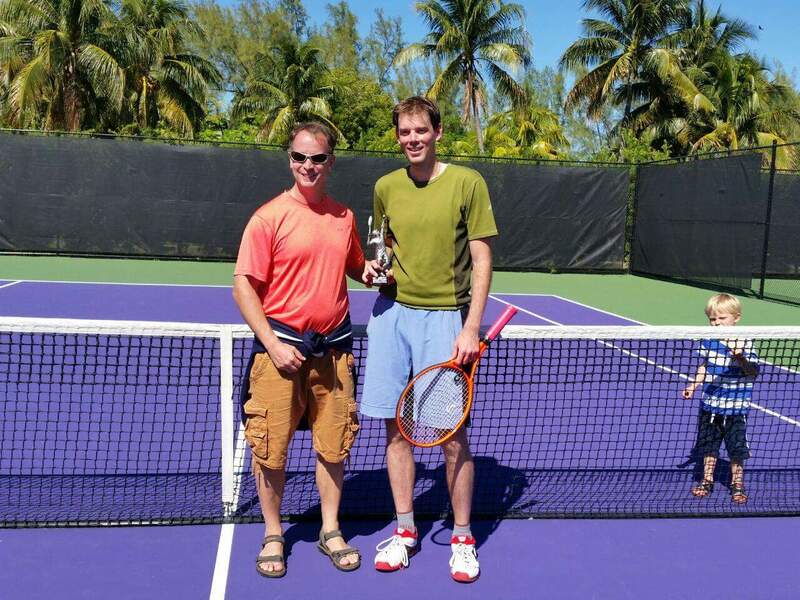 At first, I was a very simple baseline flat stroke player who never went to the net or hit slices. Then, through many matches I learned by going to the net to volley on a right occasion gave more chances to win a point. And then, through fighting many good slice hitters, I learned that I couldn't defend against them well unless I got to slice back these shots. Right now I'm trying to figure out how to tackle tough top spins and kicking serves, but cannot find an answer yet. 3) Capability to post and store all personal match records. I only wish they also kept past league standings and playoff brackets. 1) A match when I won coming from behind 1-6; 7-5; TB 10-8. That was against a far better player and I still remember my final winning shot netting onto the opponent side. 2) Two matches where I blew 5-0 game leads (one I fended it off but another one I eventually lost the set) Ever since, however many games lead I get, I stay very nervous until the final point. Wendy Ham. As our face-to-face records simply tell (5W-5L as of June 2015), we are pretty much equal and we always have a very close match until the end which itself is very exciting and soundly nail-biting. She is very tactical and effectively changes her approaches over the course of a match. She learned and executes "Winning Ugly". We have other shared interests such as golf, and so far our face-to-face records there are quite lopsided in my favor. It's very fair that the organizer promotes and relegates players between divisions. Personally it stings sometimes. In a season I had very good (maybe too good) records in 3.0 division and started to envision the championship. Then suddenly after another (5th actually in that season) dominant win I was promoted to 3.5 division mid-season and I totally lost advantage. Kind of naturally I lost in the first round of the playoff. Wendy Ham showed me the trophy she had gotten in women's division and I really really missed one. (Actually the eventual winner of that 3.0 division for the season turned out to be a very good player (3.75 caliber now) so probably I would not have had big chance to win the trophy anyway.) Disclaimer: this is not a complaint at all to the league! I just started in 2009 in my early 30s and thus I've never had integrative lessons / training and my playing style is self-developed. I was always playing soccer until my 20s but when decided to move into the US, I somehow thought it would be hard to keep playing soccer in the US (which I later found wrong) and started thinking that tennis was more easily accessible in the US and was a good alternative as an exercise. After moving into the country, I was lucky enough to have a colleague living in Princeton NJ in a apartment with free tennis courts for residents. He also showed interest in tennis and we started to play every Sunday. In 2010 I found an online tennis meetup in NYC and started playing there instead of travelling to NJ. 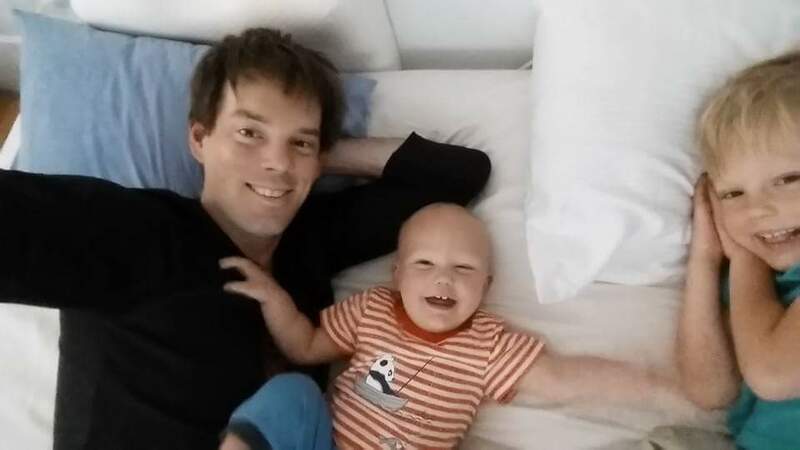 And then in 2013 a friend who likes tennis moved in and we started to play single matches every week, having myself find a fun of single matches. Then, that devotion culminated with joining the league in 2014. An opportunity to put myself in a mentally very pressured / nervous state in a single match, especially in a close one, even if in a casual (not an official) match. Sometimes the pressure takes its toll on my mind but that's something special and I cannot often experience it in my daily life or at work. Also, as opposed to soccer, tennis is an individual sports and every point/game/match is on myself. I just love that responsibility. I'm an expat employee since 2009 from a major Japanese metal manufacturing company as Treasurer and Secretary. Getting a chance to work in the US, I've always tried to find opportunities to get friends with ordinary Americans besides my work and the league is helping me a great deal in that regard. As a temporary (albeit it past 6.5 years) expat, I will be most likely to return to Japan late in 2015 and will certainly miss the league (and the country). Besides tennis, I started to avidly play golf since 2013 and it often conflicts with my weekend tennis schedules. I'm trying to balance them out as much as possible, and I believe I'm doing a good job mostly by planning more tennis matches on weeknights.